So on I went – calming balm cleanser. Double-cleanse, finishing it all off with Bioderma. And a lovely Elemis toner. Skin thoroughly cleansed, on to the two-step peel part, leaving me with lovely, soft, clear skin. 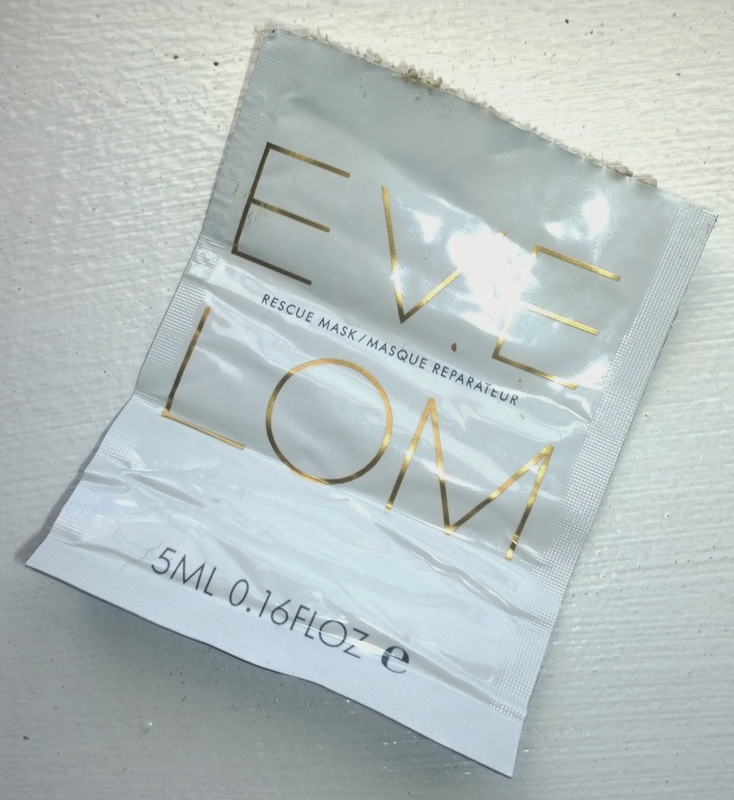 I opened the sachets of Eve Lom rescue mask. I squeaaaaazed them out onto the palm of my hand. 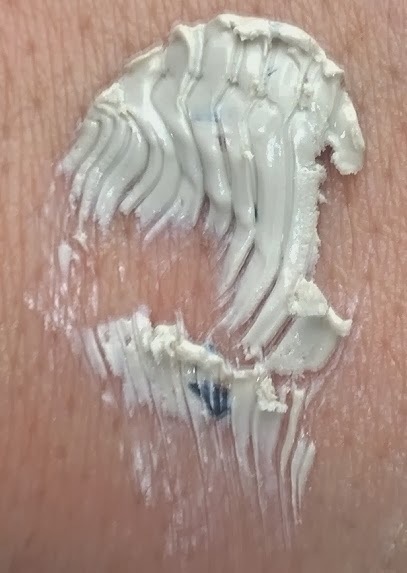 Strange, slightly off-putting putty-coloured thick cream mask formula with a slightly medicinal scent, whacked it onto my face with both hands, and nearly yelped in pain. It burned me, dear holy god it burned me. I know that putting stuff on over a chemical peel can tingle, but holy cow this was no mere tingle. I never knew I could remove something as quickly in my life. And so, I moved on, and used the rest of my planned “stuff” to complete my facial and try calm down my poor beleaguered skin (no further issues with anything else, thank goodness). Annoyed, I dumped the remainder of the samples I’d been generously appointed by the Harvey Nichols’ SA some time ago straight into the bin. And googled this stuff. And discovered that yep, this stuff is full of camphor. Ouch. No wonder it hurt so much. Who wants to put moth balls on their face?! And Kaolin Clay (going to dry me out right there). Here’s the thing – the combination of those two ingredients just there will likely help you out if you have skin that’s oily, congested, in need of some seriously heavy-duty, deep cleansing, de-clogging action. It’s really not going to help you out if you have dry, stressed-out, flaky, skin, I really can’t see it doing anything for red or irritated skin (except make it redder and angrier). And I categorically don’t recommend you use this on sensitive or sensitised skin, or skin that is just after a chemical peel. Ouch. It took me two days for my poor inflamed cheeks to fully recover. Samples are gone, I won’t be purchasing. 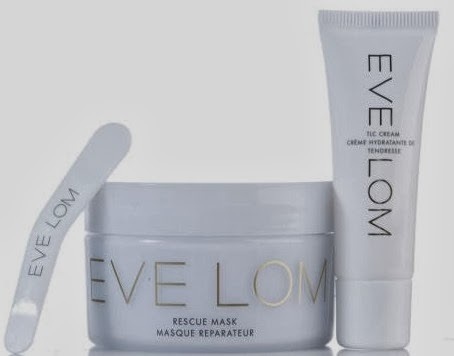 Can’t recommend, but if you have super-oily skin, it might be worth test-driving – however, like all Eve Lom stuff, this is not cheap and will set you back around £35 for a 50ml tube or £55 for a 100ml jar. Get samples. Try before you buy. I’ve learned that the hard way myself in the last few weeks!